OptiMap just shut down. That means its former users must choose an alternative route planner. There are many different route planners currently on the market. You need to make sure that you choose the one that offers you the most value. But comparing the pros and cons of a dozen different products would eat up a lot of time. Don’t worry – we can help you out here. In this post, we’ll show you exactly what you need to know to make this decision. Instead of building a mutually beneficial long-term relationship, some businesses would prefer to take advantage of you for a quick buck. To avoid this fate, you should check on how long the software company you’re considering has been in business. The longer a company has been around, the less likely they are to rip you off. Also, newer companies have a higher risk of going out of business, which would force you to choose a new route planner all over again. Will you be happy with a software provider’s product? The easiest way to predict the answer to this question is to see what people who have already purchased the product think. Scour the web for customer reviews of each route planner you’re considering. If the feedback is generally positive, that’s a good sign. If the feedback is negative, move on to your next option. How big will your business be a couple years down the road? Maybe you’ll succeed beyond your wildest dreams and your business will be much bigger. Or maybe you’ll struggle and find yourself cutting back. That’s why you need a software solution that’s scalable. The price of your route planner should be flexible enough to fit your ever-changing needs. Beware of companies that entice potential customers with a low initial cost, only to hit them with a bunch of unexpected fees after they sign up. There are many ways for a company to surprise you like this. For example, they might charge you an unnecessary “installation fee”, or they might make you pay for annual maintenance in addition to monthly support costs. Read your contract closely, and remember that pay-as-you-go is always the best approach. You wouldn’t buy a new pair of jeans before trying them on first, right? A free trial is essential. Testing out software allows you to confirm that it has all the features you need, and you can see if it’ll be easy enough for all of your employees to use as well. Also, if a company isn’t willing to let you try out their product before you buy it, that’s a huge red flag. You want to use a company that’s confident about the quality of what they sell. 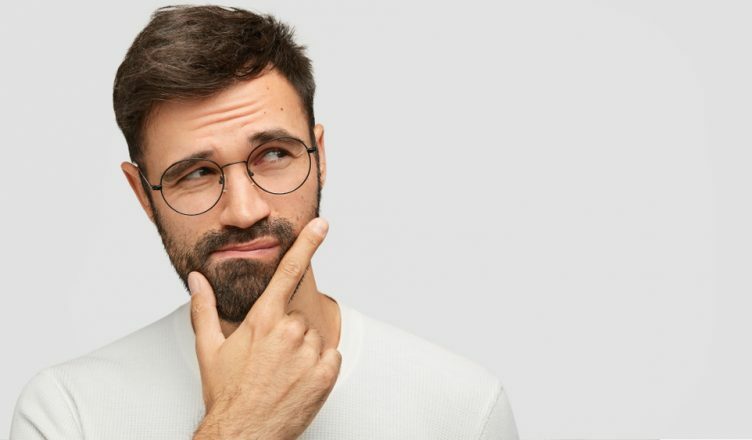 When you use third-party software, you must be absolutely sure that sensitive information you’re responsible for won’t fall into the wrong hands. That would ruin your reputation. It could even get you fined or sued. Opt for software that comes with an access restriction feature. Such software gives you the ability to restrict access to certain reports or sensitive information, such as customer data, to only a handful of people. Efficiency is the key to improving performance and reducing costs. Whenever possible, the different software products you use should work together as one solution. For example, if you only need your route planner to support your existing telematics, you should look for route planning software that can integrate with your preferred vehicle tracking platform so that you can do everything at once. Since Route4Me was founded in 2009, it has become the most downloaded multi-stop route planning software in the world. In fact, our mobile apps have been downloaded over 1.75 million times. Tens of billions of miles have been planned using our software, with over 100,000,000 visits planned each year. Our app tracks over 200,000,000 device location updates per day. We also have a team of dedicated onboarding specialists who can provide our customers with best-in-class training and help them get the most out of our software. We offer a seven-day free trial, too. Moreover, our software comes with a pay-as-you-go approach. There’s no annual or binding contract and you can cancel at any time. And there are multiple plans to choose from, so you won’t pay for what you don’t need. Our software is scalable. We always have you covered, no matter how much your business grows. Route4Me is also HIPAA-compliant. Information sent through our system is encrypted in transit and at rest. Route optimization: Plan accurate and efficient routes in 30 seconds or less while considering traffic, weather, construction, weight, load capacity, and other factors. GPS tracking: Monitor your vehicles on the road in real-time. Speed alert: Receive an alert every time a driver speeds, so you can rectify their behavior immediately. eSignature: Allow drivers to collect customer signatures directly on their mobile devices. Geofencing: Automate the check-in and check-out process so that your drivers don’t need to carry arrival and departure logs. Reporting and analytics: Record and review critical data, such as fuel costs, total routes completed per day, and average time on site, in one simple dashboard. Dynamic stop insertion: Automatically insert a new stop into the optimal route for improved efficiency. Mock routes: Review the revenue and costs produced by a potential new route before you make any commitments. Customer portal: Allow customers to monitor the status of their inbound visits on their own, which decreases the pressure on your support team as fewer customer service calls will be made. Customer alerting and notifications: Automatically notify customers when the field employee they’re waiting on is about to arrive. Barcode scanner: Android and iOS users can save time by scanning barcodes at each destination. Mobile app: Dedicated mobile app for Android, iOS, and Zebra users. Cloud-based: No need to install anything – access the software any time, anywhere. Geocoding: Automatically flags addresses that appear to be entered incorrectly and gives suggestions for the correct addresses. Two-way real-time chat: Communicate with field reps in real-time. Virtual reality app: View several screens in an immersive 360-degree dashboard. Easy synchronization: Automatically shares any changes you make to a route with the user assigned to that route. Telematics gateway: Integrates Route4Me with your telematics vendor so that you can track your vehicles on a map in the route optimization software. Add routes to the calendar app of your choice: Add routes to Google Calendar or another calendar app, so you can stay up to date and on schedule. Add notes: Field reps can add text and images to a route in order to provide important context. Interactive map: See where you perform well and where you don’t. Color coding: Assign a color to each stop to organize your operations. Territory management: Make each field employee’s set of stops closer together so that they can visit more clients in the same amount of time. eCommerce plugin: Automate the transfer of orders from your eCommerce platform to Route4Me. 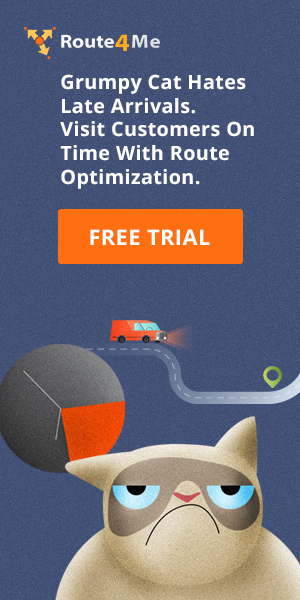 So, do you have any questions about Route4Me’s route optimization software? Feel free to let us know in the comments section below. What are the disadvantages to using new routing software? 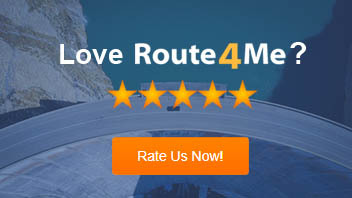 How many times have Route4Me’s mobile apps been downloaded?